Houses & Homes VA: Mortgage Insurance Just Got a LOT Cheaper for FHA Insured Loans !!! 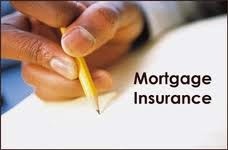 Mortgage Insurance Just Got a LOT Cheaper for FHA Insured Loans !!! If you are in the real estate industry than you clearly remember when the FHA (Federal Housing authority) raised its mortgage insurance rates 6 times during the housing bust. This was, of course, very bad news for homebuyers seeking an FHA insured loan. It also took a heavy toll on the industry as a considerable number of home seekers were priced out of the market due to the increase in cost. The current cost of mortgage insurance for FHA insured loans is 1.35% of the loan value but the new reduction will lower the premium to only .85%. That may not sound like a big difference but based on a home that costs $180,000 the homeowner would save $900 a year! Such a change not only makes it possible for buyers to qualify that could not previously afford a home but also increases the purchasing power of those currently in the market for an FHA insured loan. According to the NAR (National Association of Realtors) the previous increases accounted for 400,000 borrowers in 2013 and 234,000 in 2014 not buying their own home and during that time first time home buyers using FHA backed loans shrank significantly from 56% to only 39%. This is why the current decrease in premiums is so important to home buyers that need an FHA type loan to obtain financing. If you are considering buying a home in the near future now is the time to make a move! With interest rates at their lowest in a long time, an increased inventory of homes to choose from and the reduced mortgage insurance premiums for FHA insured loans there is no better time to begin searching for your dream home!